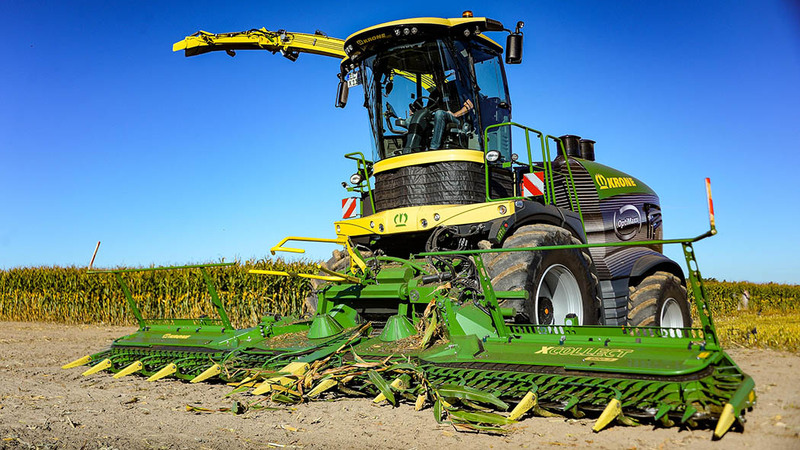 Still the world's most powerful forager, Krone launches the BigX 1180. 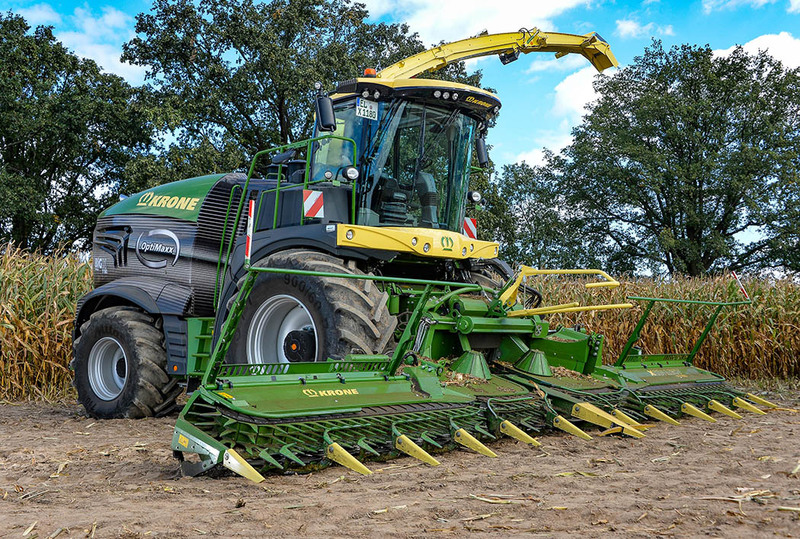 Krone’s new 1,156hp BigX 1180 replaces the 1100 and joins its fourth-generation wide-body stablemates, the 680, 780 and 880 (see overview panel), taking the range from 687 to 1,156hp. This complements the firm’s narrow-body range, introduced four years ago, which ranges from 490 to 626hp. Body widths refer to the foragers’ chopping cylinder and relative crop flow channel widths; wide-body machines are fitted with an 800mm-wide cylinder, while the narrow machines get a 630mm unit. As revealed last year with our test drive of the BigX 780, the 1180 builds on the BigX’s high capacity reputation with the latest updates focussing on comfort and ease of operation. This extends to an all new cab, the addition of independent rear wheel suspension, new roller frame attachment system, use of adaptive eccentrically-mounted wheel motors, improved crop processor changeover, flexible tank options, improved storage, new family styling and the option of a cab lift system. Cab lift is an option, for extra visibility. As before, power to the flagship is courtesy of a V12 unit. Apart from the engine, both the wide-body V8 and V12 models share the same chassis and bodywork. And like the V8 machines, power to the 1180 is now courtesy of Liebherr. This new engine replaces the previously used MAN unit, though it does share the same ‘block’, albeit fitted with Liebherr’s own fuel system, heads and turbos. 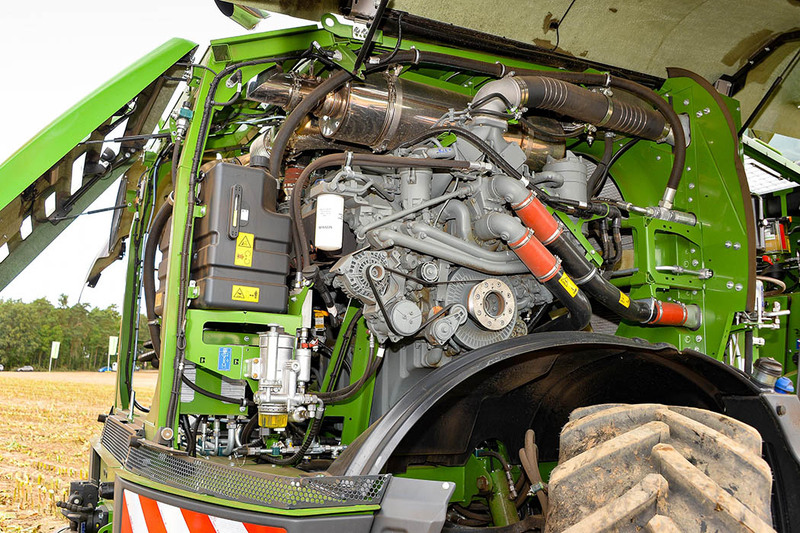 This, says Krone, allows it to be better tuned to a self-propelled foragers’ needs, while enabling it to meet the latest emissions standards. Though power levels remain similar, engine tuning sees torque and power curves tweaked to make the engine more ‘drivable’, with peak torque shifted from 1,650rpm down to 1,400rpm. This gives a higher torque reserve, and an operating window between 1,400 and 1,800rpm. Maintenance-wise, service intervals are every 1,000 hours, while emissions are tackled via selective catalytic reduction only, using diesel exhaust fluid. 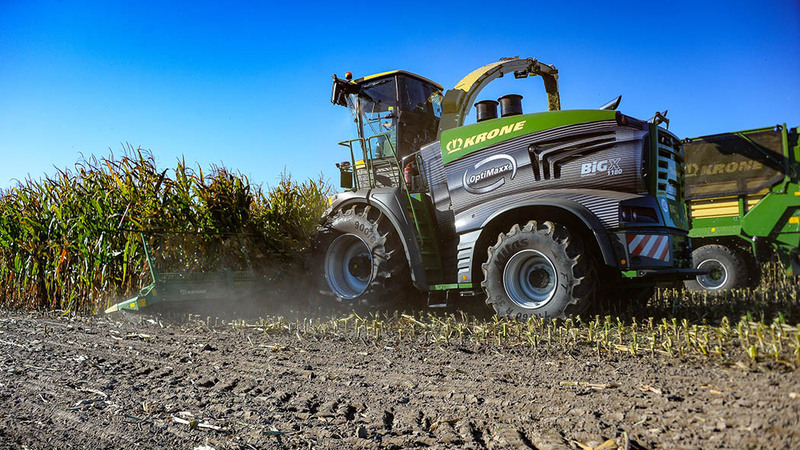 The BigX 1180 shares the same V12 engine as John Deere's 9000 forager series.